FERC Approves Geomagnetic Disturbance Standard June 19 - FERC issued Order No. 797, approving NERC's proposed standard EOP-010-1, requiring the development of operating plans, procedures, and policies to mitigate the effects of geomagnetic disturbances on the bulk power system. In 2013's Order No. 779, FERC had ordered NERC to develop such standards. Order No. 797 will become effective on April 1, 2015, and NERC indicates that it will file a second stage of standards in the near future which will require affected entities to undergo risk assessments and develop mitigation strategies. FERC Approves Update to System Operator Training Standards June 19 - FERC approved proposed Reliability Standard PER-005-2 (Operations Personnel Training) to replace existing standard PER-005-1. The revised reliability standard responds to directives in FERC Orders 693 and 742 to update NERC's operator training requirements to include requirements for local transmission control center operators; operations support personnel who perform current day or next day outage coordination or assessments; personnel who determine system operating limits (SOLs), interconnection reliability operating limits (IROLs) or operating nomograms in support of real-time operations; and certain generator dispatch personnel at centrally located dispatch centers. FERC Issues Notice of Proposed Rulemaking (NOPR) for MOD Standards June 19 - At its June monthly Commission meeting, FERC issued a NOPR wherein FERC proposes to approve reliability standard MOD-001-2, which deals with determinations of Available Transfer Capability and Available Flowgate Capability. Comments are due on August 25. FERC Approves Interpretation of Regional Reliability Standard TOP-007-WECC-1 June 18 - FERC issued a letter order approving NERC's petition seeking approval of proposed regional Reliability Standard TOP-007-WECC-1a, an Interpretation of regional Reliability Standard TOP-007-WECC-1 (System Operating Limits). The Interpretation clarifies that the requirements contained in TOP-007-WECC-1 apply only to transmission operators and not to path operators. Conference Materials Posted for FERC Reliability Technical Conference - On June 10, FERC held a technical conference on policy issues related to the reliability of the bulk-power system. Statements and related materials of the panelists are now posted on FERC's website. 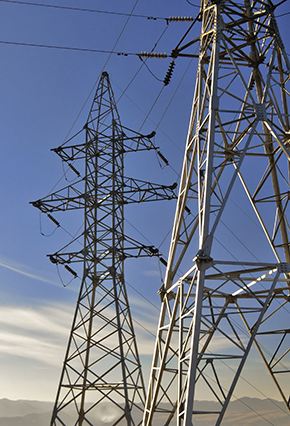 NERC Releases Statement of Support on FERC Orders June 19 - NERC expressed its approval of FERC's order approving geomagnetic disturbance (EOP-010-1) and real-time grid operating (PER-005-2) standards, and a NOPR on transmission modeling requirements (MOD-001-2), praising the better protection of the bulk power system resulting from these decisions. NERC Releases Draft 2015-2017 Reliability Standards Development Plan June 19 - NERC released a draft of its planned reliability standards processes for 2015-2017. The draft plan assesses progress on the last year's goals, and indicates that while no new standards are "high" priority in 2015, TPL, EOP, and FAC standards are "medium" priority. Comments on the draft are due by July 21, 2014. NERC Posts Second Draft of Five-Year ERO Performance Assessment June 17 - NERC posted for industry review the second draft of its Five-Year Electric Reliability Organization (ERO) Performance Assessment Report, which is an assessment of how NERC meets the statutory and regulatory criteria for ERO certification to FERC. Comments on the draft are due June 30. NERC Posts Updated Rules of Procedure - NERC has posted updated Rules of Procedure (ROP) that will become effective July 1, 2014. The updated ROP includes updates to the Definitions section, Sanction Guidelines, and Compliance Registry Criteria. NERC Cybersecurity Preparedness Exercise Assessment Report Released - NERC released a "Lessons Learned" report detailing the results of a series of simulations and exercises conducted in 2013 to assess the cyber strengths and vulnerabilities of electric sector participants' critical infrastructure. In line with previous years' reports, the new report's top-line conclusion is that "the level of industry cyber preparedness is adequate to mitigate both low‐ and mid‐level threats but may not be suitable to defend against sophisticated, well-funded adversaries targeting specific BPS elements." NERC Posts Updated Draft of 2015 Business Plan and Budget - NERC has posted on its website an updated draft of its 2015 Business Plan and Budget. In a separate letter, NERC noted that management was going to provide certain, non-technical edits to the originally posted draft of the 2015 Business Plan and Budget. The recently posted draft incorporates the management team's edits. Also in the letter, NERC noted that it planned to provide supplemental, consolidated ERO enterprise budget analysis information, which has also been posted on NERC's site. Department of Energy ("DOE") Issues Notice of Stakeholder Participation June 20 - DOE issued a Notice of Stakeholder Participation, which was published in the Federal Register, regarding DOE's participation in the development of a guidance document entitled "Energy Sector Framework Implementation Guidance." This document is being designed to "help energy sector stakeholders develop or align existing cybersecurity risk management programs with the [National Institute of Standards and Technology's] Cybersecurity Framework." Bipartisan Cybersecurity Information Sharing Legislation Introduced June 17 - Senators Dianne Feinstein (D-CA) and Saxby Chambliss (R-GA) -- Chairman and Vice Chairman of the Senate Intelligence Committee, respectively -- released a discussion draft of the Cybersecurity Information Sharing Act of 2014. The bill would promote cyberthreat information sharing by Federal agencies, limit liability for private sector sharing of cybersecurity information with the government, and require that companies sharing such information first remove personally identifying information. Several electric sector trade associations released a joint letter supporting the bill's approach. Crude bomb found at Arizona substation June 13 - According to press reports, a homemade bomb found alongside a 50,000 gallon diesel storage tank at the Valencia Generating Station in Nogales, AZ caught fire but did not cause the tank to explode. The FBI is investigating the incident. FCC Chair Announces Cybersecurity Initiatives June 12 - Federal Communications Commission (FCC) Chairman Tom Wheeler announced a new initiative at the FCC to encourage private telecommunications companies to improve their cybersecurity posture. The FCC's initiative will initially focus on improving information sharing about cyber-threats, improving information about cybersecurity risk management and best practices, identifying "incentives, impediments, and opportunities for security innovations in the market for communications hardware, firmware and software," and promoting the expansion of the domestic cybersecurity workforce. WECC Responds to Stakeholder Comments on its Draft 2015 Business Plan and Budget - June 16 - WECC issued a response to comments submitted by stakeholders regarding WECC's draft 2015 Business Plan and Budget, which was posted for comment on May 2. WECC categorized the comments as follows: compliance, delegation-related activities, FERC order 1000, Remedial Action Scheme Modeling, administrative services, WECC structure and operations, and editorial remarks. In its response, WECC indicated that the comments have been considered and incorporated, as appropriate, into a draft of the Business Plan and Budget that will be presented to the WECC board for approval sometime in June. DOE Announces $10M in Synchrophasor Awards June 11 - The Department of Energy announced the recipients of $10M in funding for deployment and analysis of synchrophasors, which provide instantaneous data and allow utilities to rapidly respond to changing grid conditions. The awards went to six recipients in five states, with the largest award ($3.9M) going to Peak Reliability, the reliability coordinator for the Western United States.